SignalFx is an advanced monitoring platform for modern applications. "Great service. Great track record of improvement. Great promise." Their visualizations of all different kinds of data are great. Their pricing model (data points per minute) really shows that they understand SaaS customers. This helps me manage spend by choosing what metrics I report and how often. SignalFlow has been very useful for more complex charts. Their recent improvements to detectors is very welcome. We use a long list of their integrations (redis, mongodb, ES, C* and more) are great. They open-source the collected plugins which allows us to make local changes. Like us, they are growing and looking to provide more and more features. We plan on using many of these new features as they are released / mature. The occasional "Down for Maintenance" pages (~2x / month) that require me to reload all of the wall-mount displays in the office. Occasional (less and less frequent) obviously bad data in charts. Usually fixed by a page reload. I still wish for more flexibility / features for building and reusing charts and dashboards, but they have implemented a lot of our requests. Use them. Plan to invest the time in getting metrics to them correctly. We had much better luck sending application metrics directly from our app than going through statsd to collected first. We still send host-level metrics from collected. I run operations for a globally distributed (5 AWS regions) CAD SaaS. We use SignalFx for all of our operations monitoring plus a subset of our application (user behavior) metrics. We were very early customers of SFx and replaced Datadog with it. Our first year with them (2015) was a growth year for both of us. There were a bunch of problems in the beginning, but they have been great to work with and have really hit their stride in the past year. As our service has grown, we have used SFx to grow with us. We are able to rapidly respond to service issues and get insight into how our application is performing and being used. "Excellent product with superior customer service"
While the product is excellent I have to say that what I like the best has been the top tier customer service. Every time I've had any kind of issue or question they have been quick to respond, polite, engaged, and actively seek to ensure I'm totally satisfied and everything is working. They've also been very receptive to feedback and many of my suggestions have made it into the product. I wish it was easier to turn off metrics that I've got wired up to alerts. This doesn't come up often for me: mainly when I'm decommissioning a server. It's very easy to get started. If you're using AWS you can just connect your accounts. If you've got something else, you can just install collectd and use the default plugins. This gives you a decent baseline that you can build on. The real magic comes when you spend the time to understand how to make use of the analytics in tandem with working up custom stats with statsd (baked into collectd). While we've used SignalFX for a lot of the standard system monitoring, the real win has come from a deep integration with one of our main applications. It's allowed our support personnel to more proactively reach out to our customers when they are having issues. This in turn has led to our customer base seeing us as more on top of things. Big win and has helped with customer retention and satisfaction. What Cloud Infrastructure Monitoring solution do you use? "Amazing Company with a Solid Product"
Integrations and customizations with SignalFx are relatively easy, and the support provided by their teams is second to none. 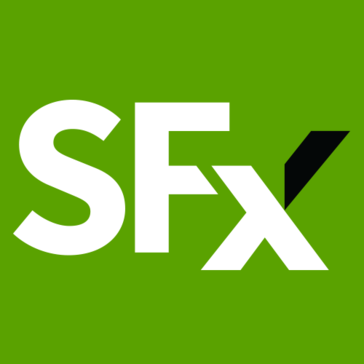 Since adopting SignalFX, we haven't seen any noticeable downtime events or impactful service interruptions, the company is responsive to feature requests and bug reports, and our own teams love the functionality of the SignalFX site. There are a few minor limitations that really fall into the "would be nice" category in terms of urgency. Graphs and detectors cannot process more than 10,000 metrics (or hosts) at a time, alerting is limited to a single condition (instead of "alert when you see 'x' AND 'y' conditions concurrently"), and a few other features we'd like to see are missing, BUT solutions to all of these concerns are in their roadmap, so we're not overly concerned about them. Definitely review and understand the features of other competitor products. If a sorely-needed feature is available elsewhere, just let SignalFx know. They're eager to enhance their product as needed, and otherwise have a rock-solid product with a phenomenal team to support it. I do recommend investing in a Field Architect, at least for your first year, if you have a complex integration and can afford it. Not only are they an advocate for the changes you need, they can help make sure you're getting the most out of the product and that you're holding yourself accountable to delivering the value you've promised your own stakeholders. Our in-house monitoring service was having difficulty supporting the scale of our platform, it was generating too much alert noise, it had a very limited feature set, and it was so inadequate that new teams at our company were forced to each use different monitoring systems for their own services. We were also blind to the magnitude of issues across our platform. With SignalFX, we were able to immediately identify several platform-wide issues that we had absolutely zero knowledge about beforehand, and we realized than an entire fleet of instances we had provisioned were going unused. We've since resolved all of those issues, saving over $1 million per year, and we've consolidated all of our monitoring services onto SignalFX. It is now used by half our company so we can all solve problems faster, and we've used it for our newest customer-facing feature! "SignalFx offers a tremendously powerful monitoring/alerting platform with a few warts"
SignalFx offers an extremely powerful paradigm, which really lets you analyze your data. It's pretty straightforward to ingest tremendous quantities of data, and then slice it on the fly however you want. The UI/UX are really really terrible, and need work. In particular, there are some pretty critical gotchas related to how timeseries are aggregated for display over long intervals (called rollups in their nomenclature) that aren't well exposed, and related to setting up detectors as realtime for alerting (called max delay in their nomenclature). I love the amount of analytics power that SignalFX gives you. They definitely excel in clearly delivering and displaying lots of data. The pre-built dashboards and charts for common situations are also very helpful. While it is easy to work with something that is already present in SingalFX, it is very difficult to start from scratch. Graphs and charts will look great once you create them, but digging into any options beyond that basics can be challenging and is not well documented. "A good solution for time series data"
SignalFx makes it easy to visualize and alert on time series data. If you want to make charts of system load, requests per second, and so on, they will likely serve you well. Their tag/dimension model works well for our use case. SignalFx doesn't (yet) have a good story on ephemeral data. If you're monitoring docker containers that come into and out of existence frequently, you'll find pain points. Also, their metrics catalog can be very slow and unhelpful - this makes it difficult to find your data if you don't know its exact nomenclature. We use SignalFx to address real-time monitoring of most of our computational resources. SignalFX is somewhat difficult with newer integrations. A lot of iteration and support usually is needed when setting up a newer released integration, especially for very generic integrations such as StatsD. SignalFX's value is in its customization. Anything that needs monitoring can be added in through a plugin via the Open Source collectd project, if the plugin is not built already. Level of monitoring can be adjusted based on necessity allowing costs be leveled with the monitored item's importance. "Signalfx for monitoring production infrastructure"
Its a very well architected product. I love the ability to send metrics with high number of dimensions and then aggregate them in a lot of different ways (average, max, min, topk, percentiles)etc. The alerting system needs to improve. We are using it for alerting on our production system and there are times when the alerts behave funkily.. though a lot of these cases are gaps in our understanding emanating from unclear descriptions. Monitoring all major production infrastructure in addition to our custom metrics for microservices and stream processing engine. "Good but not yet the leader in this field. Awesome support . Not clear architecture"
Few of the features i feel were not planned properly . E.g aws tags comes with the prefix aws_ , this screws up my dashboards as my application might be reporting with test while signalFx says aws_test and i cannot use both of them in the same dashboard. SignalFx mostly is playing catchup with leaders such as Datadog. As a product, i feel datadog is much more matured compared to signalFx. "Good but the UI could see improvement"
Detectors are great. They could use a faster preview and better explanation for algorithms used. - Confusing when a dashboard is saved or not. - Not staightforward to move graphs from a dashboard to another. "Very useful but sometimes not super accurate"
It's easy to setup alerts when things go wrong, easy to filter bigdata, dashboards are super-useful. Dashbords setup/find/update can be a pain, sometimes is stuck(freeze) when needs to introduce options in filtering. Please improve dashboards management ux. Measure all stats, notice and pinpoint fires in the system. "Great monitoring tool, value for money!" Very user friendly and easy to use and easy to set up. Value for money! Nice work on the GUI and time shift! Easily labelled fields and intuitive options. "Strong foundation. hard to learn." "Most initiative alert creation experience "
I've used a couple of other seeing platforms. It's almost always impossible to create an alert against two signals, but with signalfx it's very easy. It's sometimes opaque why an alert didn't fire. Also, it's not a great for alerting on one off events. They're data model is somewhat particular, so be aware of that. Alerting and monitoring is very important to any business. Can't make money if you're down. "Easy to implement, better than DataDog"
We implemented SignalFX fairly quickly on our AWS environment. The data we collect is hard to get with tools like DataDog. The SignalFX team was extremely helpful while implementing the solution. User Interface could be lot better when compared to similar products in the market. We Monitoring our AWS environment and use the data collected to better use the infrastructure and troubleshoot issues. very good performance and great features. the product is progressing and new features are always added. great alerting and visualizations. great visualizations, alerting features, and tons of integrations. bery very good customer support and they are really listening to customer feedback. Alerts in real time issues, we can detect ie the number of registrations per client type. we track if there is a dictionary attack on our services, also to detect performance issues, or to analyze such issues. "We rely on signalfx without any fear of being disappointed"
UX is sometimes confusing and graphs are not easily understandable. * alerting on our services and applications depends 100% of signalfx. * moving some of our metrics to signalfx too. "How SignalFX gives visibility "
Dashboards UI can be improved to facilitiate drilldown easily. Latency to load some of the dashboards is an occasional concerns. "Overall pretty stable for monitoring and alerting, via API and UI"
UI to visualize data points is sleek. Signalflow APIs allows programmatic access to data points ingested and you can use that to build customized monitoring on top it. Charts sometimes does not load in reasonable time if there are lot of metric time series. We are trying to build custom monitoring and recovering solutions using Signalflow API. We also rely on Signalfx detectors for real-time alerting etc. Love the ability to define metrics using statistical measures. Dashboard is a little cluttered, hard to organize dashboards and distribute across a number of users. SignalFx has saved Yelp an engineering team’s worth of time. * We monitor all SignalFx reviews to prevent fraudulent reviews and keep review quality high. We do not post reviews by company employees or direct competitors. Validated reviews require the user to submit a screenshot of the product containing their user ID, in order to verify a user is an actual user of the product. Hi there! Are you looking to implement a solution like SignalFx?